The Princess Flower collection by Roberto Coin features this lovely pendant necklace. 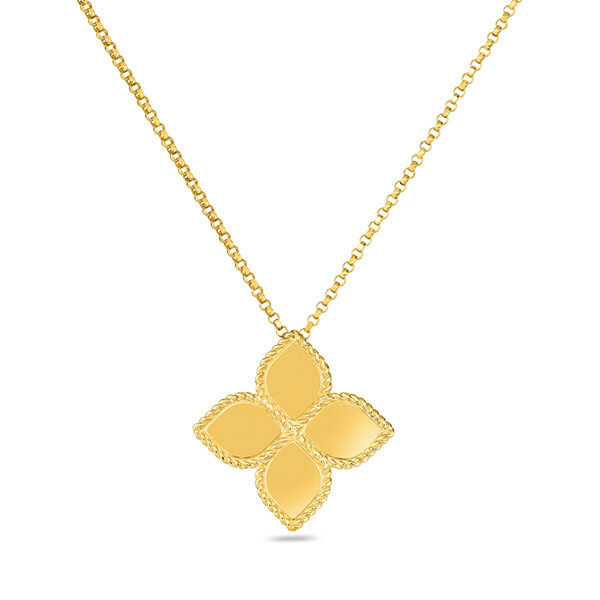 Crafted in 18K yellow gold, four petals with smooth surfaces and rolled edges come together to form a beautiful flower, and it floats along an adjustable link chain. This simple Roberto Coin accent adds a romantic touch to any outfit.